Welcome back for part two of our Overlooked Horror Movies (2000 – Present). Before we dive in, I think there’s something I think I should clarify. Like I said last time, yes, the list serves as a place for the casual fan to look at and get ideas from, but that’s not the only reason. Yes, you might have heard of some of the movies on the list, but that does not make them any less unknown to other members of the horror community and casual fans alike. This list and, part one (which you can find here), serve as a showcase for films that one might not have heard of, as well as films that you might have heard of, but skipped for some reason. Enough introduction…on to THE LIST! Unless you live across the pond, you didn’t even have an opportunity to see this in theaters. As far as I can tell it barely went wide on the festival circuit. I can’t even recall seeing it on shelves at Wal-mart, Movie Stop, Target, etc. Of all the people I know, I can think of one other person that has seen this movie. But let us not confuse that just because no one saw a movie doesn’t mean that the movie isn’t worth seeing. Triangle is not the kind of horror movie that people are used to watching. It is the very definition of psychological horror once you figure out what is going on. Starring genre vet, and personal favorite of mine, Melissa George, we get one of the most visceral and real performances from a horror movie in years. This isn’t just good horror movie acting, which we all can spot, this is good acting in general. The movie is brilliantly written and directed by Christopher Smith, whose most recent flick Black Death almost found it’s way onto this list. All of the intricate details and the pretty complex plot that unfolds create an intense atmosphere and truly unnerving story that feels like a Twilight Zone episode turned up to eleven. It’s not too hard to figure out why this didn’t fare well out in the world, I think. It only played at a handful of festivals, and as far as I can tell, didn’t play at all theatrically. It also probably didn’t help the home video release at all in that it’s a horror-comedy with singing. Now, if there’s a community that embraces very specific niche films it is the horror community. Much to my own surprise there wasn’t a lot of support for this movie. O course, I realize that this type of movie isn’t for everyone, not everybody likes singing in their movies, but if you do, why haven’t you seen this? From the opening credits, you know you’re in for a different kind of experience. The comic book style that it opens up with is an immediate indicator that this movie will be a few things: Cartoony, fun, crazy, and over-the-top. The movie also has some great music to accompany it. Now it’s not a memorable Exorcist or Halloween type of music, it’s just catchy, corny music. It also features a pretty great ensemble of character actors as well as David Carradine for about five lovely minutes. The gore is also a pretty high selling point because it’s goofy. My favorite part though is the the amount of genre and regional tropes that are exploited in a ridiculous fashion. This movie isn’t for everyone, but if you like dumb goofy horror comedies, you might like it. It’s probably a good bet that you never saw, and probably never heard of this movie before. At the time of it’s theatrical release, it may a whopping $200,000 on its opening weekend. Perhaps the climate in America just wasn’t ready for a war-themed movie at the time it came out (2002)? Maybe it wasn’t marketed very well. I don’t even remember the thing coming out. I’m almost glad I didn’t see it when it came out because I think it might have screwed with my head too much. Below is in a similar vein to one of the movies from part one of this list, Session 9. It will lure you in with simplicity – in this case, a World War II submarine film, but it only takes 10 or 15 minutes for things to get weird. The movie features a lot of very startling images and scares that don’t depend on shrill tones blasting through the speakers to make us jump. This movie’s scares are quite genuinely frightening, they’d be scary even if you had the volume turned down. One thing about this movie that really stands out to me is the amount of weight carried in it by the actors. None of them really partake in the leading role since most of them are character actors. In that regard it features some absolutely great performances by some of my favorites like Holt McCallany, Olivia Williams, Jason Flemying, Dexter Fletcher and Zach Galifianakis. Another mystery for this column. 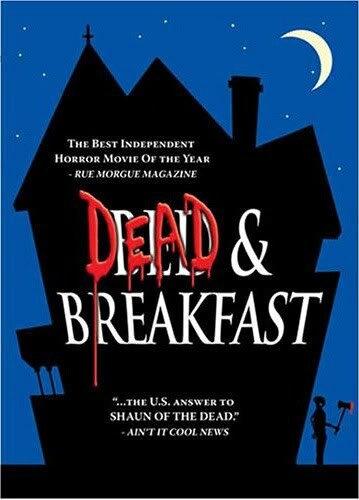 I only heard about it from a friend of mine, a fellow horror fanatic, who asked if I had seen it. When I said no, she was in utter shock and told me I needed to watch it. After doing some research for this article I’m starting to see a pattern here, I can’t find a record of a theatrical releases. I’m surprised it didn’t catch on considering it’s done in a similar vein as popular TV shows like Big Brother. Maybe people weren’t quite ready for satire and horror movies in 2002 though. I think this movie is more relevant to today’s audiences than when it was made. Sure, the lingo and clothes date it a little bit, but just consider those things a part of your suspension of disbelief as you watch it. Since reality television and internet sensations are even more popular now than they were 10 years ago, this movie should be a classic. A very interesting point to note is how it takes the tropes of reality shows and uses them but can be watched ten years later and all the tropes are still spot on. This flick builds up the tension fast. It uses the combination of tons of different camera angles (remember they’re in a house covered in cameras so it makes since in context) as well with a great deal of time put into sound editing to create a very dreadful and vivid atmosphere. The actors in this flick are spot on, too. I’m not sure if it’s that we’re so used to reality television now and watching the real people in it, or if these actors are that great at their craft, but the flick feels real. At times you forget you’re watching a movie and start to think of it as a show. Around the middle of the decade there was a booming interest in French horror movies, and for good reason. There was a moment when all of the French horror movies coming out were much better than the ones we were getting here in the U.S. I think being both about a pregnant woman being terrorized and being a French movie really handicapped the marketing for this, if there even was any. But watching a movie because it’s got subtitles shouldn’t be a deterrent from watching the movie, unless you can’t read or are lazy. I remember when Inside came out on DVD and the quote on the front said One of the scariest movies I’ve ever seen in my life.” Now, of course, this kind of quote is always attribute to some of the worst movies out there, but here it’s kind of accurate. Things happen in this movie that I have never seen in other movies. The tension is on a different level from other movies of the time and like a good movie should, it builds on that tension continuously throughout the movie making the final 10 minutes some of the most demented and twisted things I’ve seen. Plus, the simplicity of the entire story and the way it’s shot is something to be admired by movies fans. Why this movie didn’t succeed and blow up is probably the most puzzling thing to me. While it only played at the UK Frightfest and was quickly released on DVD in the U.S., it’s still something that so many genre fans pine for: An original movie. It’s not a remake, it’s not a sequel, it’s new and it’s in the same vein as all of the old school ’80s slashers that we all love so much. Essentially, it’s the kind of movie that so many horror fans cry and moan for. I’m going to go on a limb and guess that the direct-to-video status is what many people shied away from. I’ll admit it’s not something that I look at with fond eyes about horror movies, but there are so many others that are proven gems (Hatchet, Behind the Mask, Spiral) that this should no longer be a negative selling point to us. 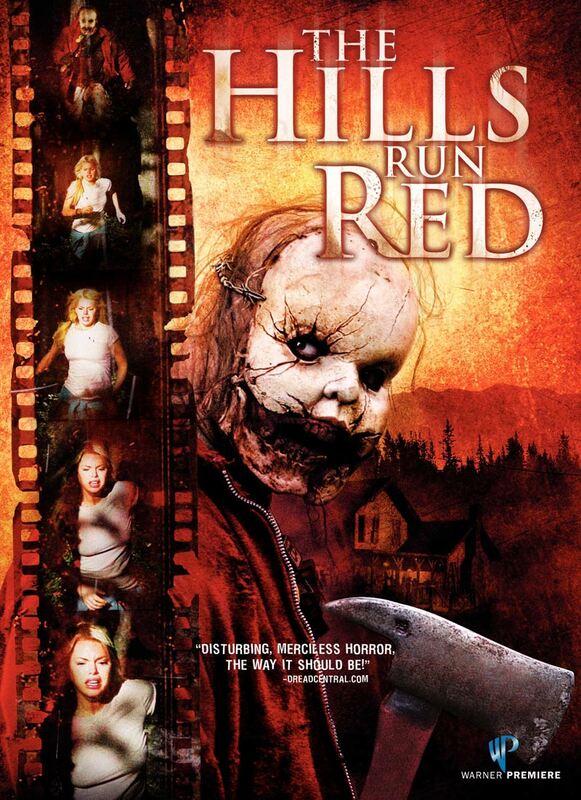 Also, if you’ve seen this movie you will see the irony in The Hills Run Red being on a list of overlooked gems. This is easily the most salacious movie that I’ve recommended, but the interesting story, creative scares, and crazy gore make it worth your while. This is one of the most meta-movie I’ve ever seen and I’m always a big fan of meta fiction. I’ll also be the first to admit that it’s pretty silly and over the top in places, but if the film’s subject is the pursuit of a salacious and over the top movie then what makes the movie itself being salacious and over the top a bad thing? Plus, the masked villain, Babyface, is one of the coolest modern slasher villains. While he feels of course like a knock off of Jason, I think there’s enough going on in his characteristics and mannerisms that sets him apart and makes him a whole brand new type of evil, a very entertaining and awesome evil. This movie should have been big. It’s directed by Tobe Hooper and features Angela Bettis, Juliet Landau and Sherri Moon for crying out loud! 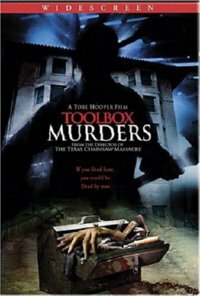 As far as I can tell the movie only played in a handful of places around 2003/2004, but with the emergence of the Iraq war taking up a lot of discussion in the public sphere, it’s no debate about why people don’t want to see a movie with the word MURDER in the title, but for genre fans? No excuse. This flick is a slow burn. Things aren’t exactly exciting until the last 30 or so minutes, but the build up is an eerie and interesting series of twists and turns. Plus, with the lovable Angela Bettis investigating her surroundings and encountering the cast of peculiar tenants at their new apartment it’s remarkable how well the tension and plot is built up through the development of these relationships. 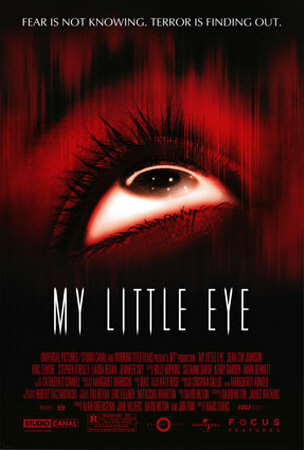 This movie has a pretty impeccable structure as far as horror films go. It’s set up is delivered nicely, the plot points and story bits are paced very well and just when you start to think Well I might get bored in a minute one of the most insane kills you’ve seen pops up with some truly hair raising music. The flick fits into the slasher movie tropes a little too well, but it does enough with the tropes to stand out that it’s not a cliché movie. I remember when this picture came out. 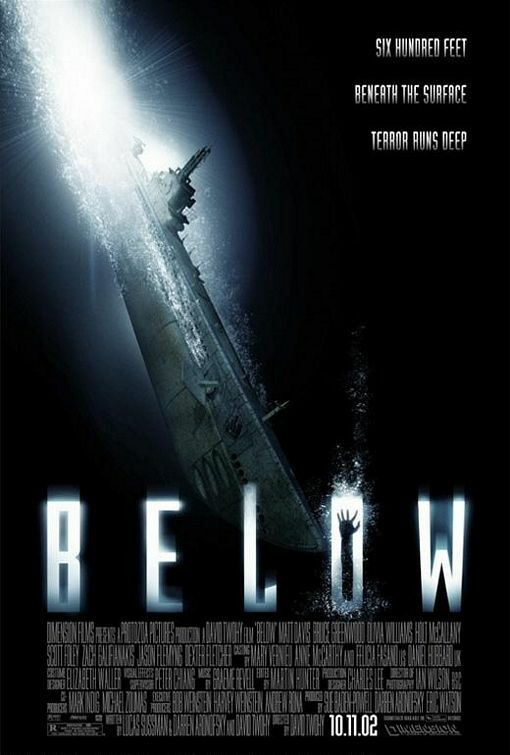 I was pretty excited and when I saw it opening weekend there were maybe 12 or more people in the theater. The movie wasn’t exactly a flop, it was still in the green at the end of the day, but the audience just didn’t show up. I don’t know what happened either. The movie was different from most things coming out at the time, it’s not a remake of an Asian horror movie, it’s not another slasher movie. It’s an eerie disturbing body horror film. Maybe that’s why it didn’t fare well? Was it too much of a niche idea? Here’s when my attitude towards the horror community gets strained. We pine for good flicks, something different and unique to come out and half the time when these movies come out they don’t show up. I like The Ruins a lot. It has the right amount of patience leading up to the truly horrific scenes that the entire experience is so unnerving that you can’t help but be engrossed. The cast is also made up of some great young actors that really set the stage for the entire film. I think the thing that worked best about the flick when I saw it in theaters was I didn’t recognized any of the actors, so it made their performances and characters feel more real to me. I got scared for them, clinched my teeth at their actions, and even a few times I’ll admit thought to myself DON’T DO THAT.” Then, when the movie was over I realized I knew who every single one of these actors were, and that just made it even more enjoyable. Like I said above, it’s not exactly the type of horror movie that people are either used to or think of when they think horror,” but that doesn’t make it any less of an effective film. 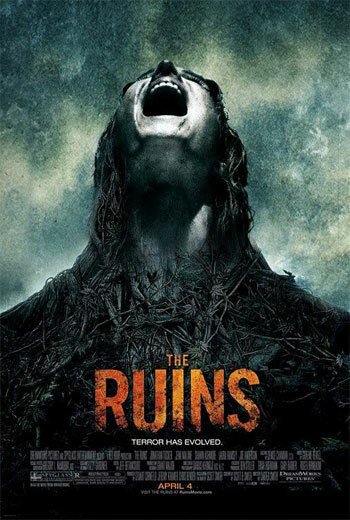 The Ruins is great because of how different it is, and it’s also one of the few movies that I think the alternate ending on the DVD is leagues better than the theatrical ending. There you have it. I won’t toot my own horn to the extent to call this a definitive list of the overlooked gems, but this is definitely a good amount of titles here for people to sit back and watch as we wait for our local theaters to get more horror flicks. What list of overlooked gems would you like to see next? Sub-genre specific? Another time frame like this list? Overlooked gems from the best genre directors? You can follow Spencer on Twitter at @ScarySpencer.